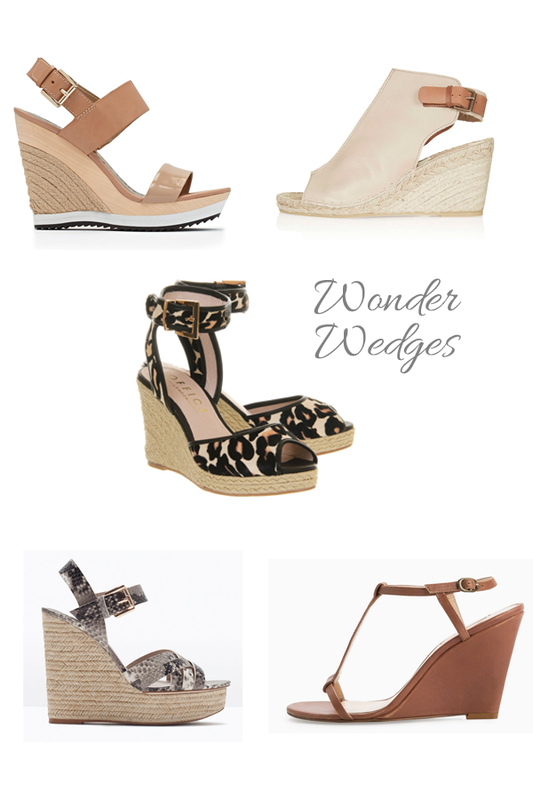 If there’s one shoe style we can call a wonder each summer, it’s our trusty wedges! Love them or hate them, they are a summer staple that can solve a multitude of dilemmas. Namely lending us height without sacrificing comfort and saving our soles in situations where stillettos just won’t do! Nobody wants to heels sinking into the grass at BBQ’s or other summer events! They are also perfect for bringing on holidays. I’ve made the mistake so many times of packing far too many heels and never wearing them! So this time around, only my DVF Opal wedges have made the cut. They are neutral, both dressy and casual and well broken in so I know they’ll be super comfy! Are you a fan of wedges for summer?